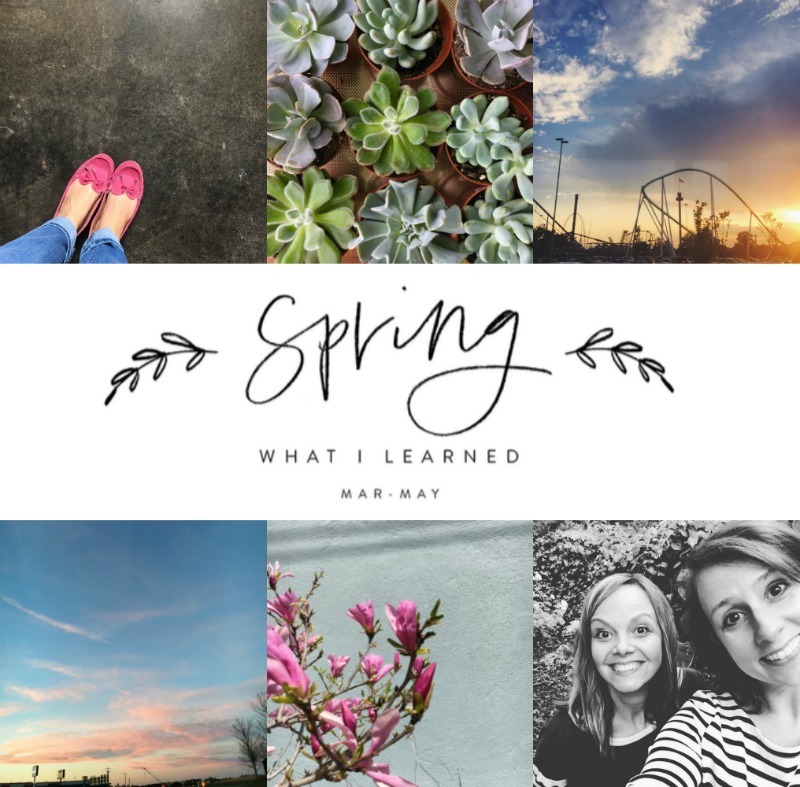 Here are 10 things I learned this spring in no particular order. 1. Watching your kids grow up feels like torn lace, like smoke, like wedding mints melting on your tongue. For several years I’ve been trying to put into words what it feels like to have not-quite-grown kids but also not little kids, either. 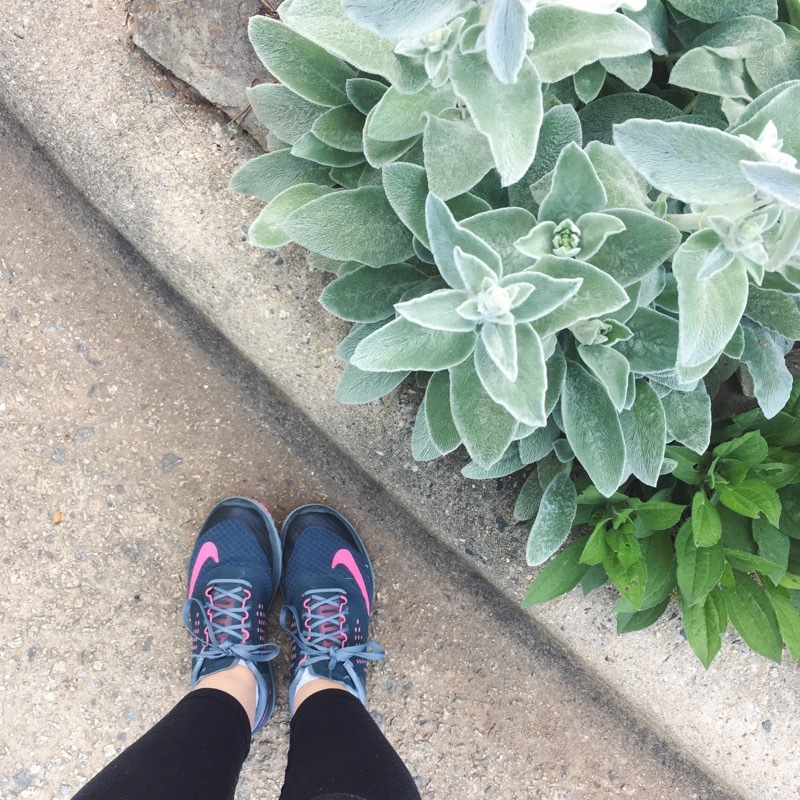 I was finally able to write my way through it here: What it Feels Like When Your Kids Are Growing Up. 2. Clarity cannot be rushed. Thank you for that, Marie Forleo. 3. I prefer half and half to flavored creamer. This is a small detail of my life. But two years ago I could not have imagined my coffee without flavored creamer. Then I went off sugar for 30 days and used milk instead of fancy creamer and then when I tried the fancy creamer again it tasted like perfume and I haven’t been able to go back. 4. The meaning of quid-pro-quo. I have lived 40 years and never knew what this meant. But then they said it on Designated Survivor so I looked it up. Incase you also don’t know, it means doing something as a favor with an expectation that you’ll get a favor in return. Like, I’ll give you the quid if you give me the quo. That kind of thing. 5. If you cook eggs too fast they get tough. I guess I knew this sort of but I never thought about why. It’s because eggs are protein! Of course. I listened to this interview with The Barefoot Contessa and she casually mentioned this simple and obvious fact I’ve never thought of before. 6. Alcoholism doesn’t have to get the final say. Dad stopped drinking nearly 30 years ago, but this month brings it all back around again as his first book releases into the world next week. I wish I could tell my ten-year-old self that one day my alcoholic, non-believing-in-Jesus dad would write a book about about God and family and grace and what it means to get along with the people who matter most. 7. If God has something to tell me, He won’t let me miss it. This I’ve learned from Dallas Willard. He writes in Hearing God that when he asks something of God – for direction or clarity in some way – he states it simply and then devotes the next hour or so to “housework, gardening, driving about on errands or paying bills,” things that keep his hands busy but his mind open. Over the last three months, that has helped me to rest in the midst of my unknowing. 8. Turning 40 is a relief. I didn’t realize it until after my birthday in April, but I have been symbolically holding my breath for a year in anticipation of this milestone birthday. I wasn’t sure what to expect and I think 39 was somewhat of a grieving for me on many different levels. As it turns out, I’ve experienced a peace I can’t quite explain over the past month – hopeful for the future, grateful for life, and glad to be growing in wisdom and perspective. 9. I crave time with whole-hearted creative women. In March I spent some time thinking about what it means to be a whole-hearted creative woman and I came up with a list of 8 things whole-hearted creative women do differently. Since then, that phrase has felt glad on my lips. In the last several months, I’ve decided to be intentional with these kinds of women – to learn from them, to work beside them, and to champion their work. A short walk around the block, one yoga class per month, writing or reading a paragraph per day, choosing kindness once when you could haven chosen defense – it all counts. Small movement is still movement. Thank you, Emily. I haven’t been brave enough to leave comments, but finally, I’m learning to step out of my comfort zone, and do this. 🙂 Thanks for providing us a space to link up. Thank you for walking beside us and exhorting us to the calling of creativity (I love the phrase “whole-hearted creative women”). Love it. Thanks for sharing what you are learning. And yes, ah, movement. Moving forward. Even in small movements, it all counts. Thank you, Emily. Hi Lilly! I’m so glad you stepped forward and spoke up. Of course you’re always welcome to read in silence (I’m a fan of silence 🙂 but I’m also grateful for your voice and words of encouragement. Thank you for hosting Things I Learned, Emily. I always enjoy reading your post. Yes, turning 40 is a relief isn’t it? I wasn’t sure what to expect but I can certainly identify with the feeling of peace. More comfortable in our own skin, I suppose. I’m looking forward to reading your dad’s book, too. Blessings! I am 100% with you on the half & half vs. coffee creamer. I also started drinking my coffee without sugar about 18 months ago and cannot go back. I keep trying these fancy drinks when Starbucks gets them in, but find myself missing “my” coffee. And thank you for the word on clarity. I have been praying and seeking clarity for what feels like some time, but I’m far too impatient in the waiting. As always, love this link-up and your words. First of all, Yes to half and half in coffee! And thank you for gathering us together in this “Let’s Share What We Learned” community. Every time I look back over my lessons list scribbles and pull it together for the linkup, I fell grateful, humbled and in awe of God’s quiet calloused hand. I love ‘It all counts’ – so right. I forget that even my one workout a week, counts. Each effort to show my daughter God’s love so she owns it, counts. I’ve learned this time around grace abounds more when I accept His – for real – first. Thank you for sharing. I found your blog by listening to your Dad on the radio. I will always remember when he signed off New Life 91 on the radio. I am looking forward to reading his book, and I enjoy reading your blog posts. I, too, have started writing down things that make an impression on me. I love that idea. Thanks again. 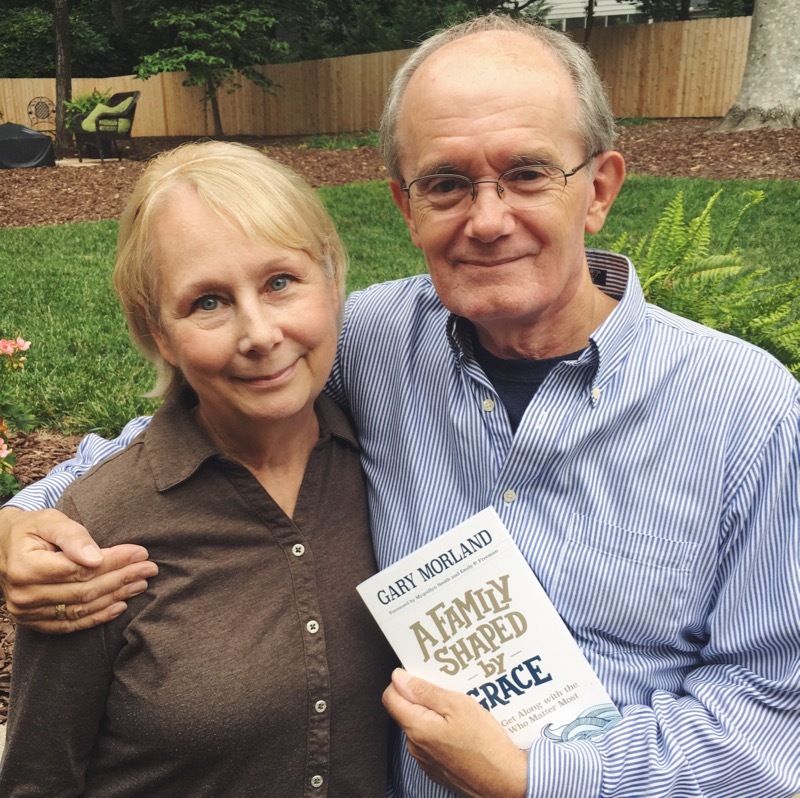 I enjoyed reading your list as I always do – but what Dallas Willard said about hearing God? Sooo good! Thanks so much, I needed to hear that. I’m 54, and 40 was absolutely freeing!! For me, I finally felt the pressure to “do something with my life” just fall right off me like rain. Most things I stressed over and carried with me daily just didn’t seem important any more! Thanks, Emily, for this cozy space to share and feel virtually hugged. I love these lists, Emily. I learn from what you’very learned! Right now my poor little brain is in such a funk I can’t even find words to write about what I learned. I just have no words rattling around anywhere. So thanks for your words. They also bless. That word should be you’ve. See – total funk. #7 — I needed these words. Thank you. I learned that life is precious. My husband had what they call a widowmaker heart attack, just a few days past our 40th wedding anniversary. he survived! God is good and we are grateful to be able to have more time. Dallas Willard can pretty much drop the mic all day long. I love What We Learned posts so much. Happy belated 40th! I had the same feelings / process about mine and you’re right, “relief” is just the word for it. Crying in IHOP because —> I wish I could tell my ten-year-old self that one day my alcoholic, non-believing-in-Jesus dad would write a book about about God and family and grace and what it means to get along with the people who matter most. I’ve learned that I’m stronger than I think. I have gone through the death of mom in 2009 and the more recent 03/15/17 death of my dad. I took care of him from 2014 2017 & even quit a good job to do so. 40 is nothing try turning 50 even 52. It puts new meaning on life. I am a more mature, grown up woman now than ever before. It helps going through trials. You learn so much! Wow! Okay, so although I think #3 is PURE BLASPHEMY… you more than made up for it with numbers 6,7,8!!! Good stuff. Thanks for another opportunity to link up, Emily. I feel so blessed! Looks like I barely made it this time (I’m the last one! ), and for some reason my photo isn’t showing up. Oh, well. Glad to be here! Oh, and as for coffee creamer, I do know what you mean. I prefer it when the beans are flavored. I have purchased some of the more natural flavored creamers, but don’t love them, and have made my own, but don’t always have the time. But what is even better than half and half is light cream! Yes, it’s more calories and fat, but you need less and it’s by far my favorite, as it’s creamy but doesn’t water down your coffee. Just one more “trick”. If you use a frother and froth up a little milk (or I prefer almond milk), with a little sugar and cinnamon, then brew STRONG coffee (or I suppose espresso), over it, you’ll have a nice latte and for some reason the frothiness makes up for the lighter milk.